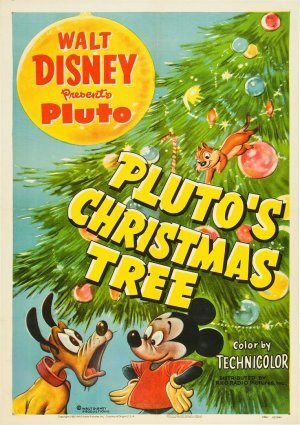 Pluto comes bounding outside to help Mickey get a Christmas tree. Chip ‘n Dale see him and make fun of him, but the tree they take refuge in is the one Mickey chops down. They like the decorations, especially the candy canes and Mickey’s bowl of mixed nuts. But Pluto discovers them and goes after them long before Mickey does. Yes, it is included with the Disney Animation Collection 7: Mickey’s Christmas Carol.